Cicero High School Cross Country competed at the 2018 AIA Division IV Sectionals in the Section IV 5K Race on October 31st. 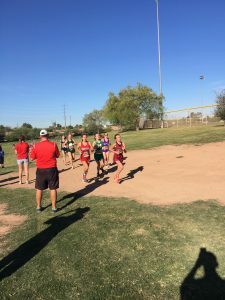 Lola Cravath ran a time of 23:59.9 for her 3rd fastest 5K, placed 12th out of 50 runners in the race, and qualified for Arizona AIA Division IV State Championship! Qin Nebgen had a strong finish to her season placing 47th with a time of 32:47. 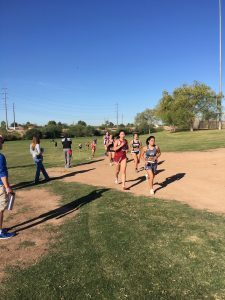 Lola Cravath will be competing in the last meet of the 2018 Cross Country season at the AIA Division IV State Championship next weekend on November 10th. Congratulations Centurions! We are proud of the way you represent us!